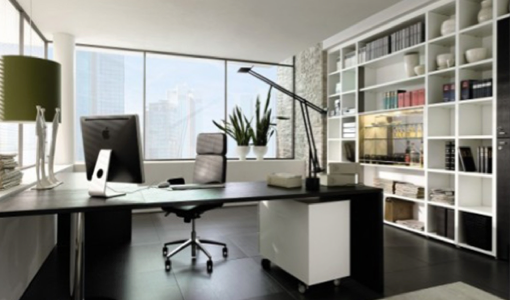 Why is Office Furniture SO Expensive? From time to time you may find yourself sitting in your battered down office chair, massaging the weird aches in your back, wondering why office furniture is so expensive. Before I knew anything about furniture, I thought that the day I set up my own office, it would be straight out of a TV show. Little did I know shopping for my furniture would require much more knowledge then I had acquired. Most people have the wrong budget placed in mind. Comparisons between office and home furniture or office chairs made for long use and cheap department store chairs are unrealistic. The truth is that price is a simple differentiator. These pieces of office furniture are used almost everywhere from 9-5 (or longer!) every single day whereas home furniture is not put under those same pressures for long hours. These commercial products are used in long wearing environments and therefore need to be made to have stronger durability. If you decide to purchase a chair under $100 with a one year warranty or no warranty and then sit on it 6-8 hours a day, the padding might quickly dissipate and your backside will have very minimal support. This may not seem like a problem but a large percentage of people develop back problems due to lack of care as a teenager or early adulthood. Or at least it should be. And like all investments, you must be willing to put in what you want to get out. Long lasting furniture that is stable and comfortable and functionable can seem like it costs a little more then you’re willing to spend but in the long term, it is worth it. If, let’s say, you spend $50 on a chair and it somehow lasts one year. You have to then spend time, effort and travelling money on finding a replacement every year. That’s more then $500 for seating in 10 years. And that’s not even including the cost of your medical bills when you start having troubles in your lower back and spinal area for sitting long hours on a chair without the proper back and lumbar support. Wouldn’t it be worth it to find a chair a little more expensive (even just a little) to avoid all that trouble? Of course quality doesn’t always correspond with price, the most expensive pieces aren’t the best buys of the industry. It is important to look for value in what you’re buying, and never forget what you’re looking for, whether it is style or function. Remember the image you are trying to buy for, the business that you are reflecting. If you don’t know what your furniture shows about you, we have a guide here. Whether you are willing to invest $1000 into a single chair or $1000 into fitting out your entire office is up to you, however it is important to note the quality and whether what you’re buying is worth it or just plain cheap. No matter what anyone says, buying an exercise ball instead of an office chair, although cost efficient, is just not functional or beneficial (tested and proved). So it all isn’t as expensive as you thought if you consider all the years of benefits and health that you’re paying for instead of just looking at the number itself. Tell us about your experience with buying furniture. Do you believe that you should invest into better and longer lasting items?